This plant is one of the best-known Rasayana (rejuvenating) aids in Ayurveda. Ashwagandha is one of the few soothing, adaptogenic plants. 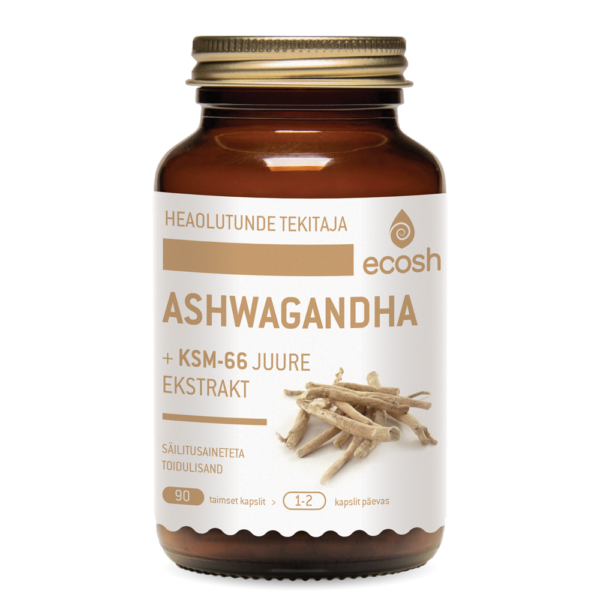 The ashwagandha root effectively fights various joint inflammations, especially when you eliminate flour and sugar from your diet. Additionally, ashwagandha stimulates the thyroid function. The daily dose: 2 capsule consist 1000mg Ashwagandha root powder. Ingredients: Ashwagandha root powder (Withania somnifera), Ashwagandha root extract 4:1 (Withania somnifera), Ashwagandha KSM-66 root extract (Withania somnifera), vegetable capsule (hydroxypropyl methylcellulose). Suggested use: 2-4 capsules daily, or as advised by your doctor or therapist. Take with water.